Fabio Viviani has joined fellow Top Chef contestant Stephanie Izard on Randolph Street with his new two-story eatery Bar Siena, located just across the street from Izard’s Little Goat. 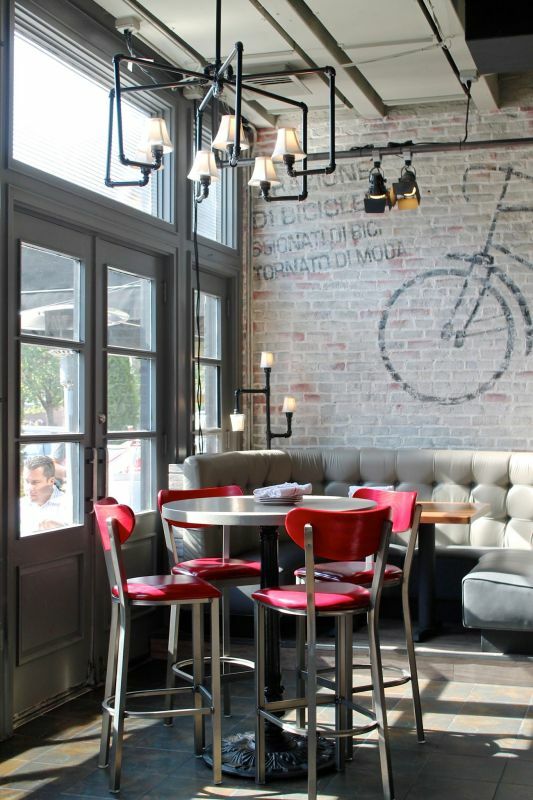 Bar Siena is dishing up top notch Italian food in a casual space. I have visited Bar Siena a few times since they opened their doors and I have had the chance to try their brunch, lunch, and dinner menus. 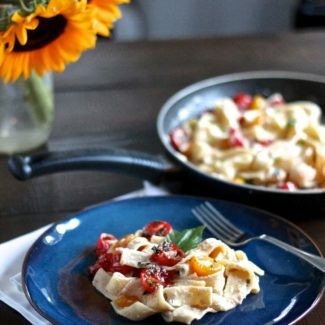 What makes Bar Siena different from the other Italian restaurants in the immediate area? Formento’s and Vivo are both more formal dining experiences. 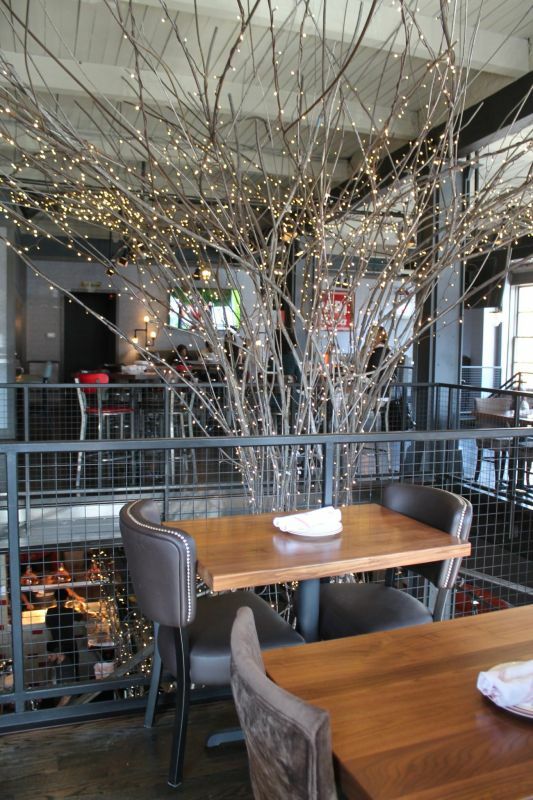 If you are looking for a spot for a romantic date, Formento’s or Vivo would be more appropriate. Bar Siena is the place to meet friends, order a bunch of things, and share. 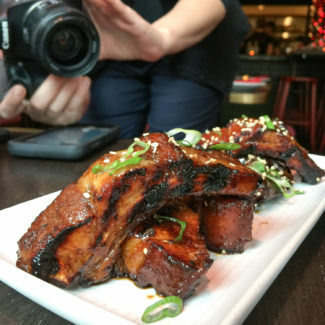 When it comes to the food, Bar Siena has more casual food too – the menu has lots of starters meant for sharing, plus pizzas and calzones – items you won’t find at Formento’s or Vivo which focus more on their housemade pastas and meats. But really, all three restaurants are excellent. 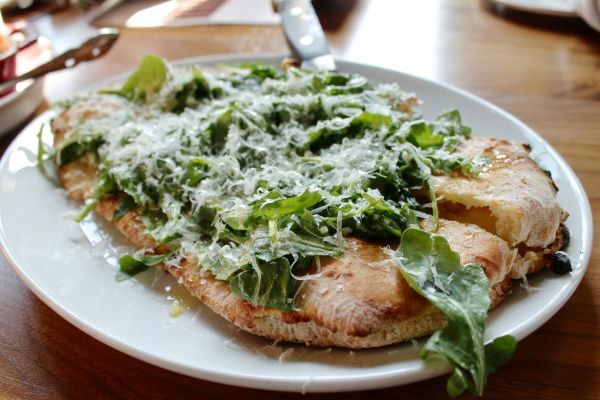 The lunch at dinner menus at Bar Siena are largely the same. 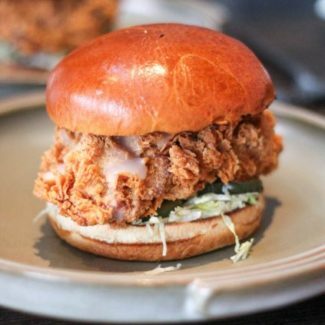 The big differences are that the lunch menu includes 7 sandwiches, while the dinner menu features a trio of side dishes. Bar Siena serves a great variety of Antipasti and you should definitely order several to share with your table. The Taleggio Focaccia might not sound exciting, but it is fantastic. 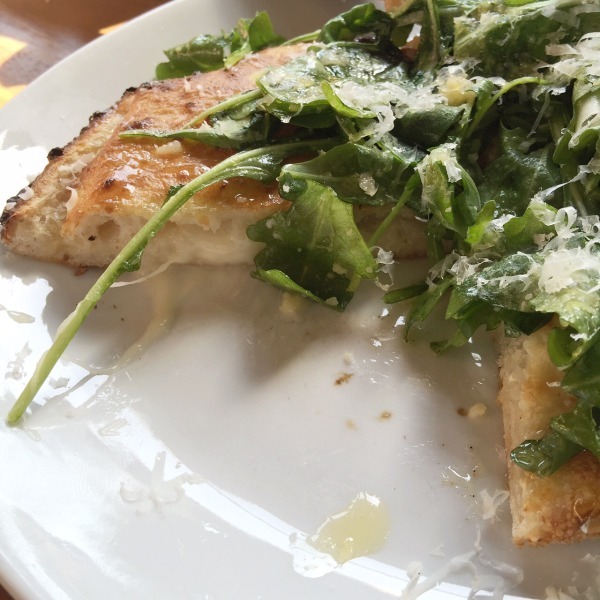 Fresh focaccia is filled with stracchino cheese, topped with arugula, sprinkled with sea salt and more cheese, and then drizzled with truffle honey. 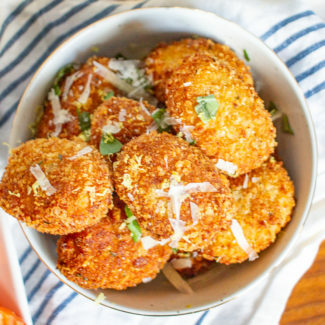 It’s sweet, salty, cheesy, and doughy all at the same time. Do you see that? It’s oozing cheese. It’s like focaccia, calzones, and pizza had a baby. Promise me that you will order this. Next up: Parmesan Truffle Potato Skins. 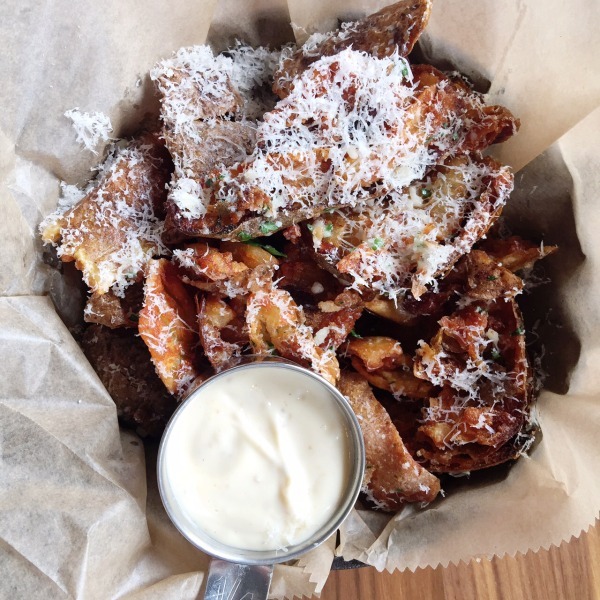 Extra crispy crunchy potato skins are seasoned with truffle and topped with Parmesan and served with a lemon garlic aioli dipping sauce. This is a fun Italian take on bar food, but I definitely preferred the focaccia. The roasted meatballs are available as an antipasti, plus as meatball sandwich on the lunch menu, and spaghetti and meatballs on the dinner menu. 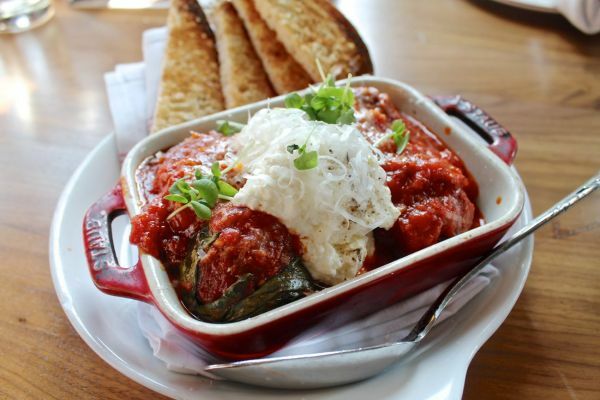 The meatball antipasti comes drown in pomodoro sauce and smothered with fresh ricotta, with crostini on the side. I skipped the crostini and dug into a meatball, which was meaty but not too dense, and just the right portion for a starter. Another thing my table shared? 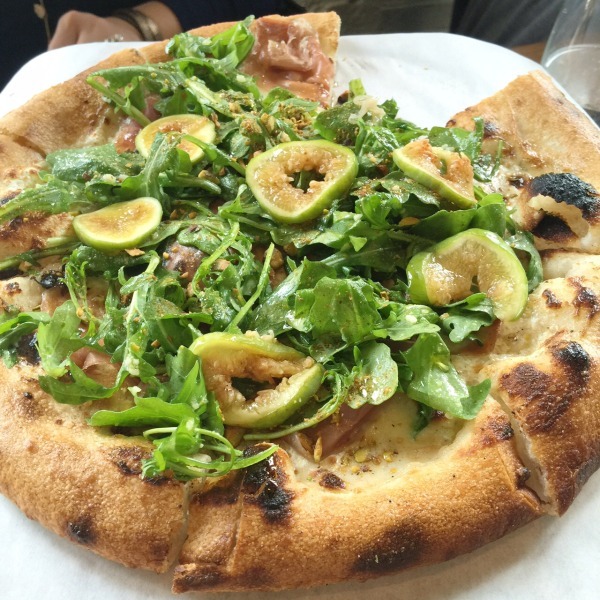 A Prosciutto Fig Pizza with pistachio, taleggio, and honey. The crust managed to be doughy and crisp, and the combination of toppings was perfectly balanced, and just slightly sweet thanks to the honey. 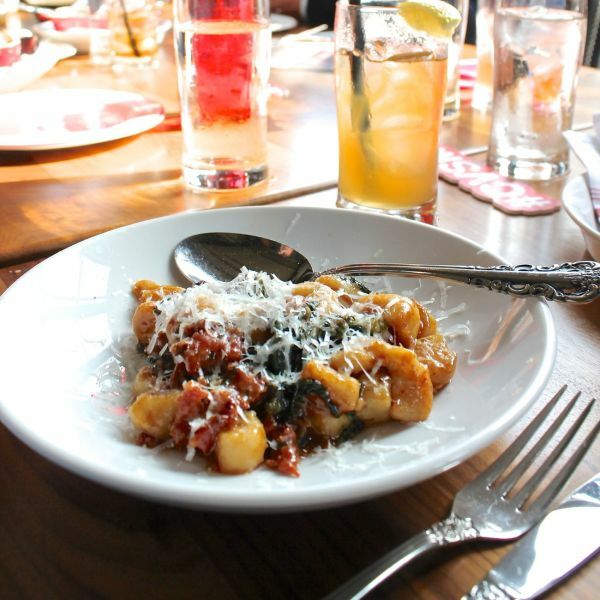 When it came time for entrees, Erin had the Gnocchi with prosciutto sausage, rapine, Parmesan, and chili flakes. The gnocchi was soft and pillowy while the sauce packed a kick of spice. I had to order the Short Rib Lasagna since it combined three of the foods I love most in the world: short rib, pasta, and cheese. 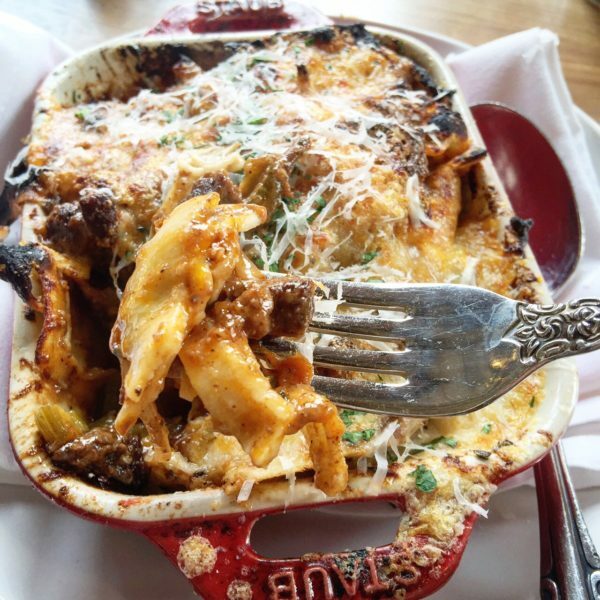 Tender braised short rib was layered with pasta and a roasted garlic béchamel, and cheese was melted over the top. This was a rich meaty take on a lasagna with just a hint of cheesiness. It is the type of dish that is really filling, which means that you get to bring home leftovers too. A couple of weeks later I returned to Bar Siena for brunch with my parents. My Dad isn’t much of a brunch guy, but the last time he visited I had taken him to Firehouse and he never stopped talking about how much he loved their short rib hash. We were both pretty bummed out when Firehouse suffered a major fire and closed down (ironic since it was located in a former fire station). I spent a considerable amount of time trying to find a restaurant that my father would love just a much. 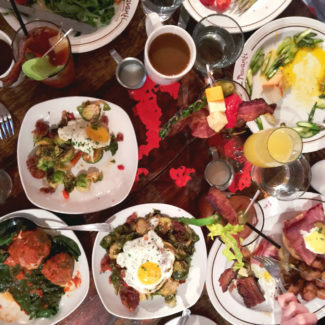 When I read Bar Siena’s brunch menu, I knew it was perfect. Bar Siena has a big brunch menu. 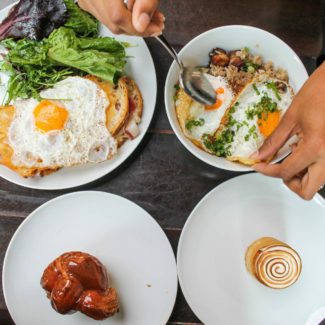 My mother said it was one of the best brunch menus she had ever seen, and I have to agree. 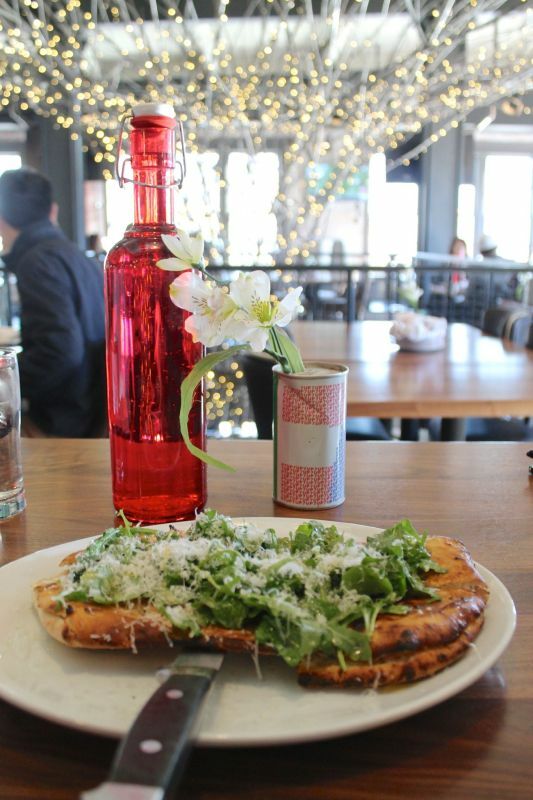 We started off with the Taleggio Foccacia because it’s what dreams are made of. I also couldn’t shut up about it for the 24 hours leading up to brunch. My parents both ordered, and loved, the Short Rib Hash. 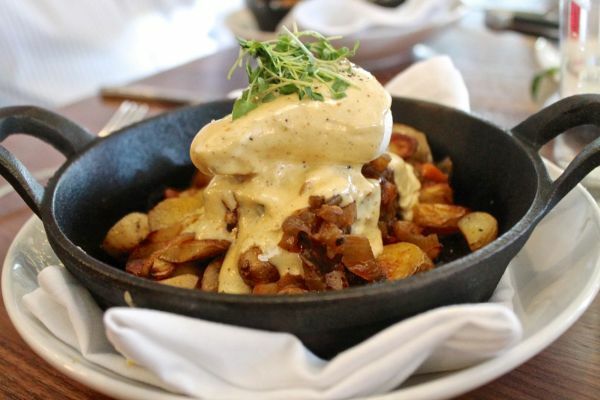 It has large pieces of short rib, stacked over roasted potatoes, and topped with a poached egg and garlic hollandaise. It’s a hearty brunch, and it kept my parents full for hours as we explored Chicago. Knowing my father, he will insist that we dine at Bar Siena next time he is in town so that he can have this again. 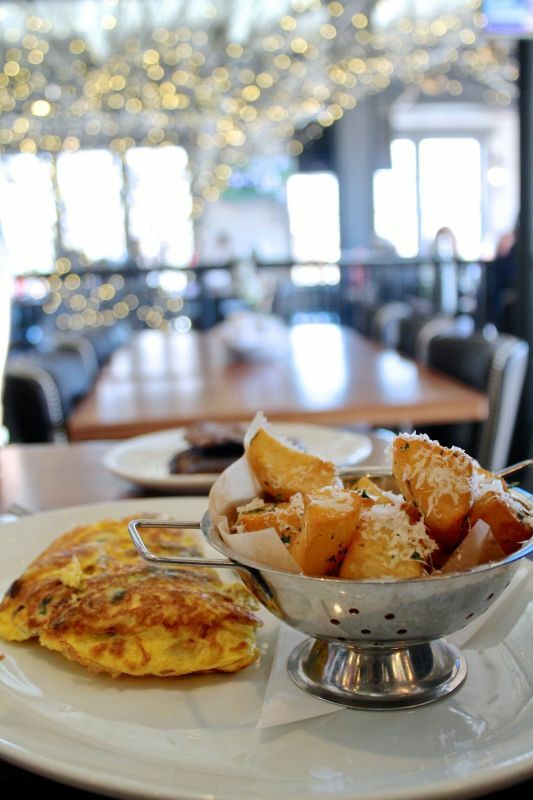 Charles ordered the Spinach Omelet with wild mushrooms, braised leeks, and pecorino, which came with crispy roasted potatoes topped with Parmesan. I had the avocado toast, which my friend Lauren had highly recommended. 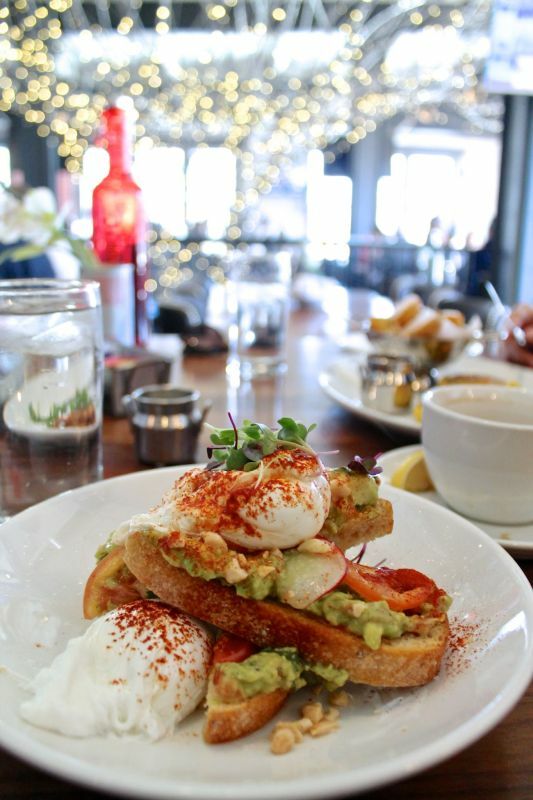 It comes on a garlic bread, spread with mashed avocado, topped with thinly sliced radish, and fresh tomatoes, with poached eggs on top. It was a big portion, and impossible to finish after eating so much focaccia, but I loved the flavors. The garlic was a nice addition to something that I make at home a lot. 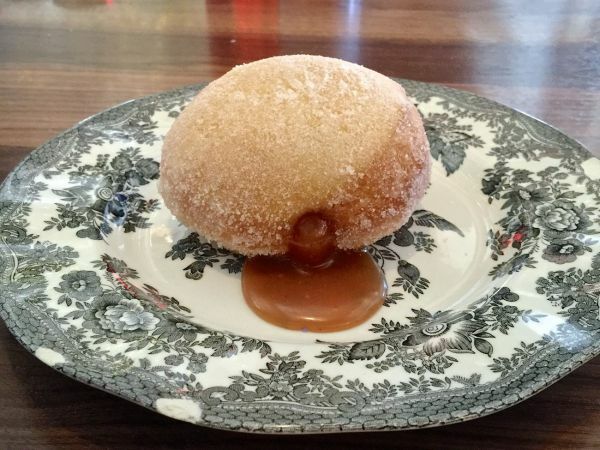 We ended our meal with the Salted Caramel Bomboloni, an type of Italian doughnut. They are made fresh in house, served warm with sugar on the outside, and can be stuffed with your choice of filling. The caramel was superb. Bar Siena is a welcome addition to the bustling West Loop restaurant scene that brings something a little different to the neighborhood. Go for the atmosphere, stay for the food, and save room for the bomboloni. Bar Siena’s address is 832 West Randolph Street, and it is just a short walk from the Morgan Pink/Green line stop. The restaurant does accept reservations. 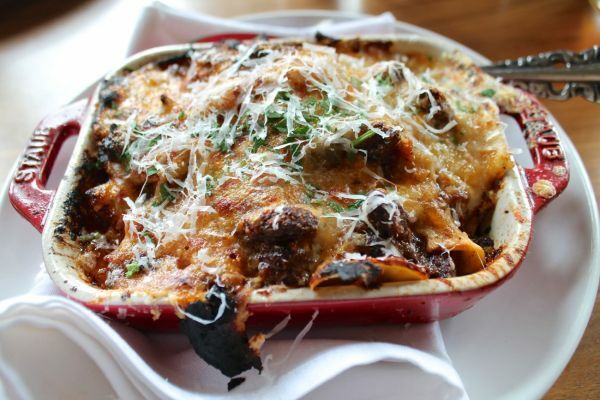 Fabio Viviani’s more formal restaurant, Siena Tavern, is in River North.